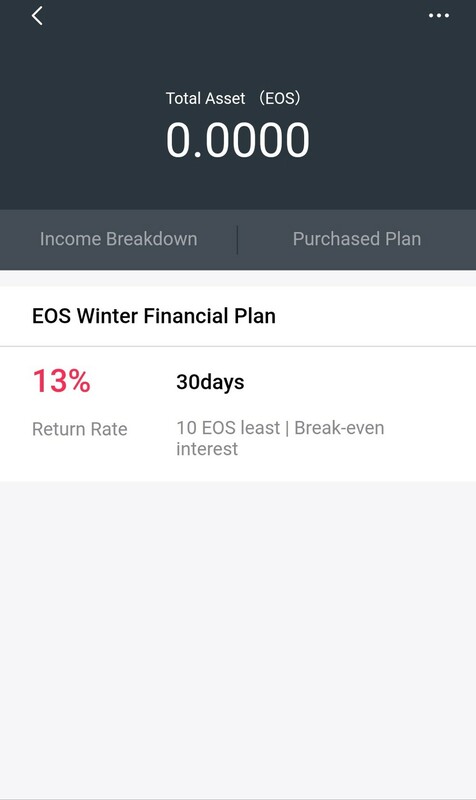 How to buy EOS Winter Financial Plan? 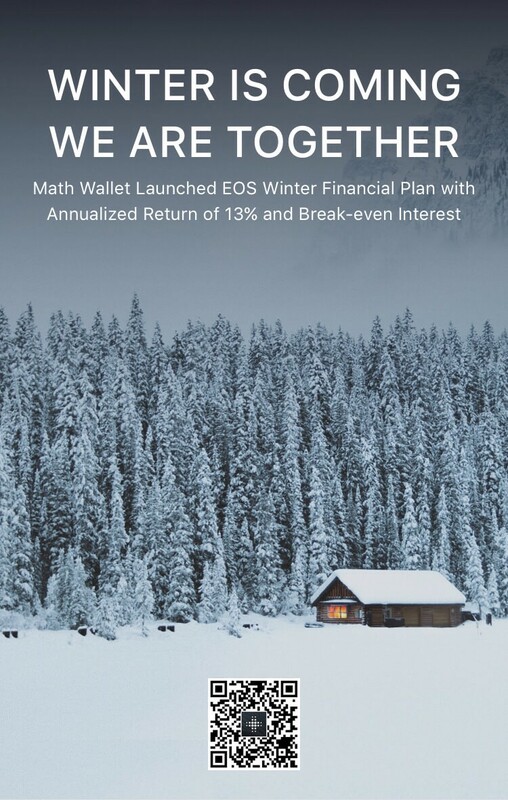 Math Wallet have launched EOS Winter Financial Plan that has annualized return of 13% and break-even interest. Limited amount, first come first served. 1. 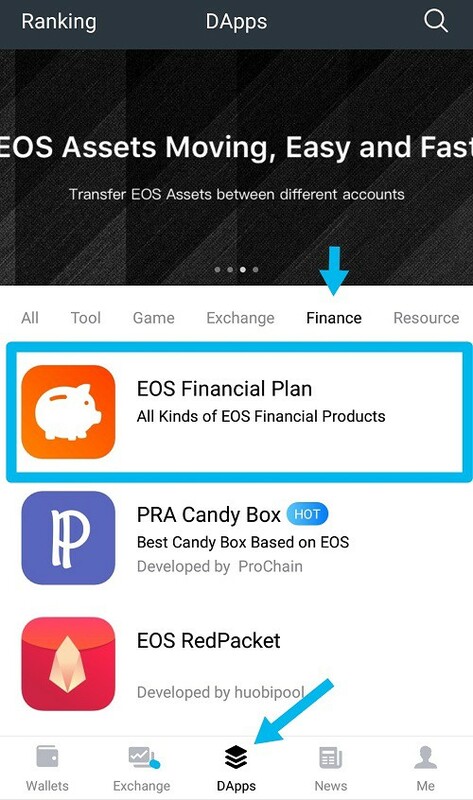 Switch to EOS wallet. 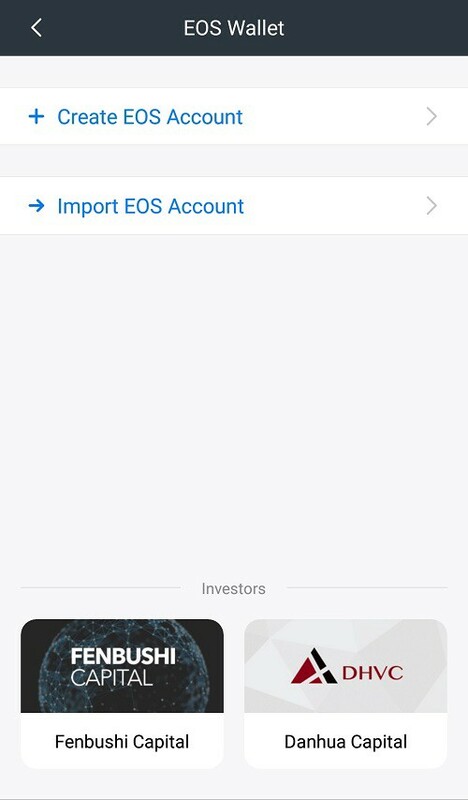 If you don’t have EOS wallet, please create or import first. 4. Go back and click 【Purchased Plan】to check the order. About redemption: redemption refers to the redemption of the principal. 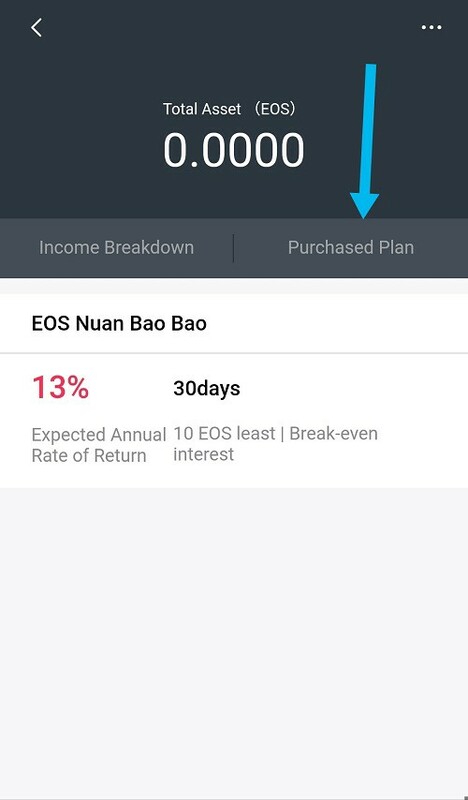 After the product is open for redemption, you can click the “Redemption” button in the “Purchased Plan” to redeem the principal. 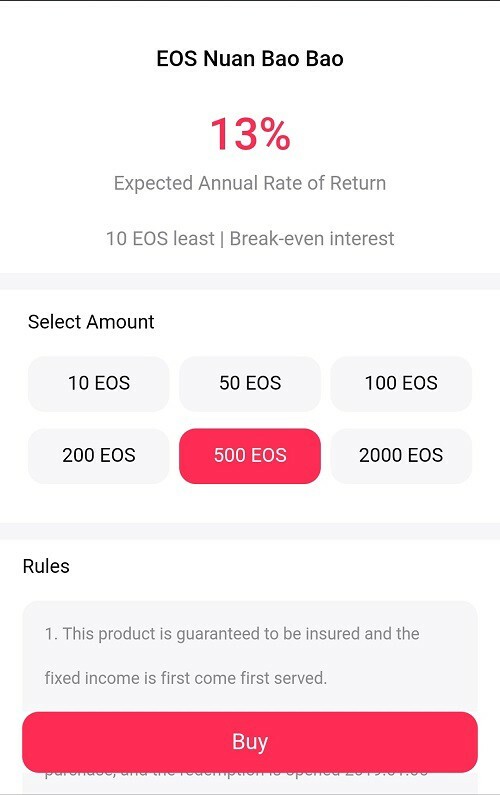 The principal will be returned to the original payment account within the 5 business days of the beginning of the next month; if not chose to redeem during the return period, the principal will be automatically extended to the next period. About interest: the interest will be paid monthly. After the end of each interest period, the system will automatically transfer the previous interest income to your account.